Last Friday night, after watching a movie with a bunch of friends, we headed to Streetsville, a neighbourhood in Mississauga for dinner. We walked along the Village’s main street to browse and explore the various dinner options around us. We ended up at Jing Thai Restaurant, as the name already gave it up, a Thai restaurant. 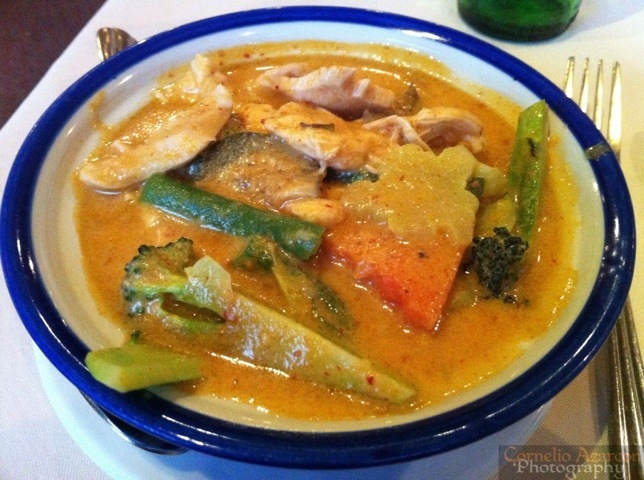 They however are not only offer Thai cuisine, but Chinese cuisine as well. 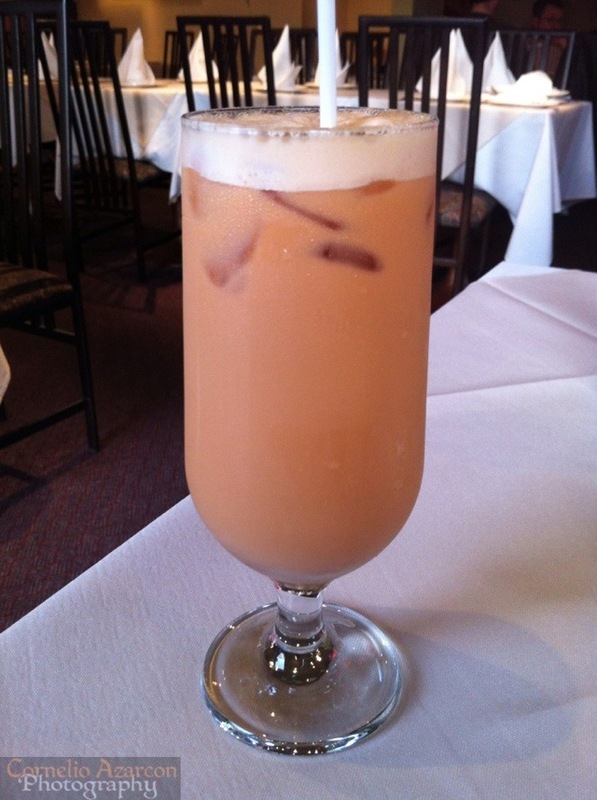 To drink, I ordered the Thai Iced Tea ($2.50), one of my favourite beverages, and one I haven’t had in a while. It was good…very tasty and refreshing. It was so good I had two. 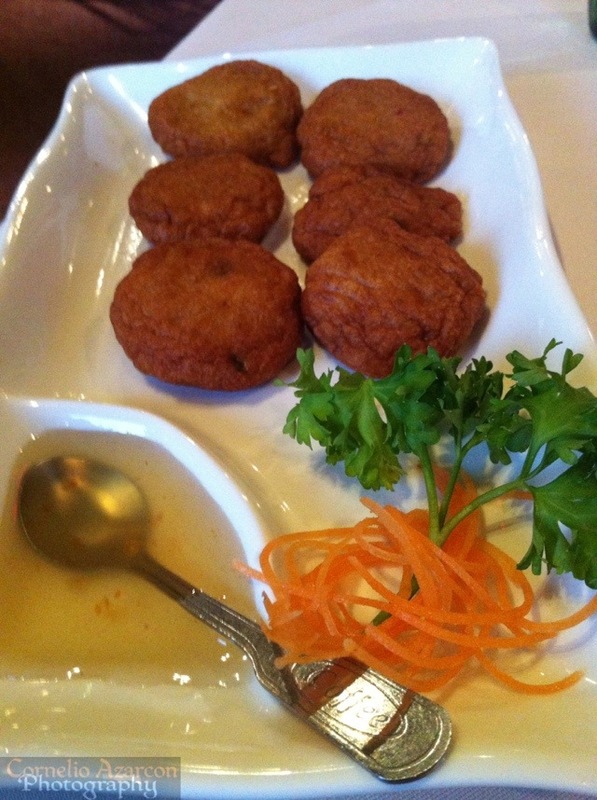 For starters, I ordered the Fish Cakes ($6.99), which looked like breaded flattened fish balls. It tasted good, especially with the sweet sauce, but nothing to really get excited about. For my main course, I had the Thai Red Curry with Chicken ($8.99), which was ok, but I felt that there was something missing. I’ve sampled a lot of red curries from various Thai restaurants before, and this one just missed the mark by a smidge. 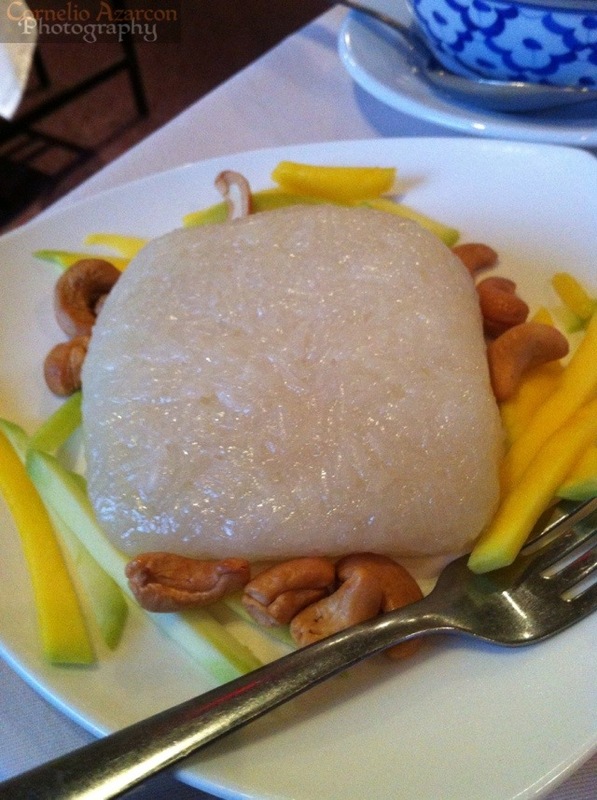 To accompany the red curry, I had the Coconut Sticky Rice ($4.99) which complimented the dish very well. The rice was garnished with mango slices and cashews. For dessert, I ordered the Deep Fried Banana with Ice Cream (5.99). 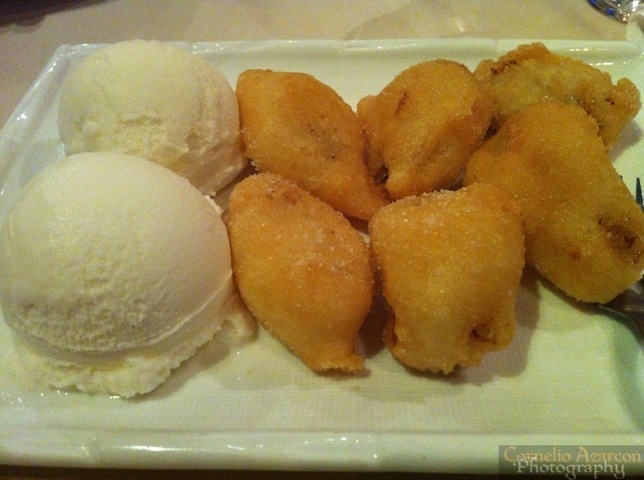 The order came with 6 small deep fried banana pieces and 2 scoops of vanilla ice cream. The bananas tasted great, especially with its deep fried batter. Great combination of bananas and ice cream on a plate. Overall, the meal was average. Drinks and dessert were great, but appetizer and main course lacked excitement. Not sure if I’ll come back…maybe it was an off night?